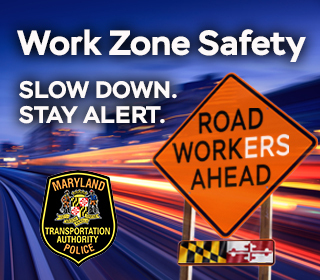 Keeping Maryland roadways safe is a priority for the Maryland Transportation Authority Police. 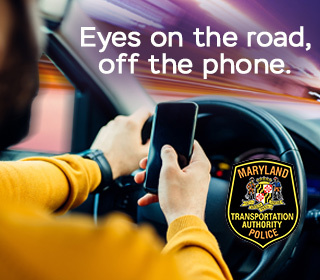 By implementing traffic enforcement initiatives on impaired driving, seat belt use, aggressive driving, distracted driving and work zone safety, the MDTA Police are improving safety on the roads for drivers, passengers, pedestrians and bicyclists. 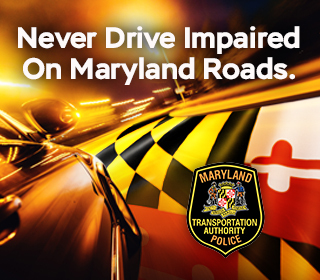 The MDTA Police’s goal is to reduce the number of injuries and fatalities due to motor vehicle crashes. The MDTA Police support the MHSO Toward Zero Deaths campaign – a partnership to save lives and prevent injuries on Maryland’s roadway. For more information, visit towardzerodeathsmd.com.